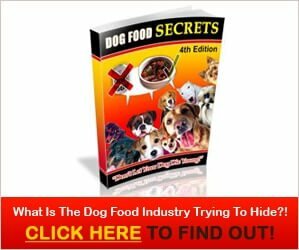 Hey doggie lovers, if you are looking for healthy dog food to keep your dog in good health, I have here healthy vegetarian dog food recipes and doggie treats to keep your puppy in good health. Bring the water to a boil, then add the rice, quinoa, lentils, and sweet potatoes. Reduce the heat and simmer, covered, for 40 minutes to 1 hour, or until the rice, quinoa, lentils, and sweet potatoes are very soft and well cooked. Stir occasionally and add more water as needed. When fully cooked, remove from the heat. Add the peanut butter and vinegar (if using) and stir well. Place 3 to 5 servings (1 serving is about 2/3 cup*) in the refrigerator and store the rest in the freezer. Just before serving, mix in the flaxseed oil, cranberry extract, Vegedog, Prozyme Plus, and PB8. Serve twice daily. * Based on the nutritional needs of a 20-lb. dog. Adjust according to your own dog’s weight. Note: Please remember to introduce dogs to a new food gradually. This means replacing a portion of the current food with the new food and increasing the amount of new food while decreasing the amount of old food over a period of 10 days or so. Put vegetables in a blender and blend at medium speed until creamy. Add to the grains. Serve warm. Add the lentils and barley. Reduce heat, and cover pot. Simmer for 25 minutes, or until barley is tender. With a little water in a blender, blend celery for one minute on medium speed. Add this mixture to the cooked grains. Allow to cool slightly, but serve warm. 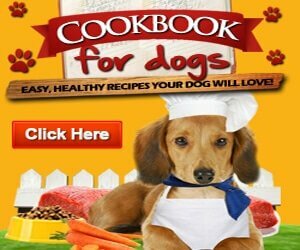 Did you enjoy the healthy vegetarian dog food recipes post? Share it on facebook and pinterest.